The speculation is over: this news as is real as news gets. WWD reports that creative director Marc Jacobs is officially stepping down from his post atop design at Louis Vuitton to focus on preparing his eponymous brand for an initial public offering. The IPO is reportedly expected within the next three years. Following Tuesday's Louis Vuitton Spring 2014 show in Paris, LVMH chairman and CEO Bernard Arnault confirmed that Jacobs' 16-year-long run would come to an end. And, unlike some fashion world breakups (we're not looking at you, Balenciaga, except that we are), it seems like this parting of the ways is amicable; Jacobs has grown the scope of Louis Vuitton from a leather goods designer to a bona fide fashion powerhouse, with art at the heart of its designs. Vogue UK notes that Jacobs' final show was "created entirely in black, as was his first show for the label" — something of a highlight reel for the designer. 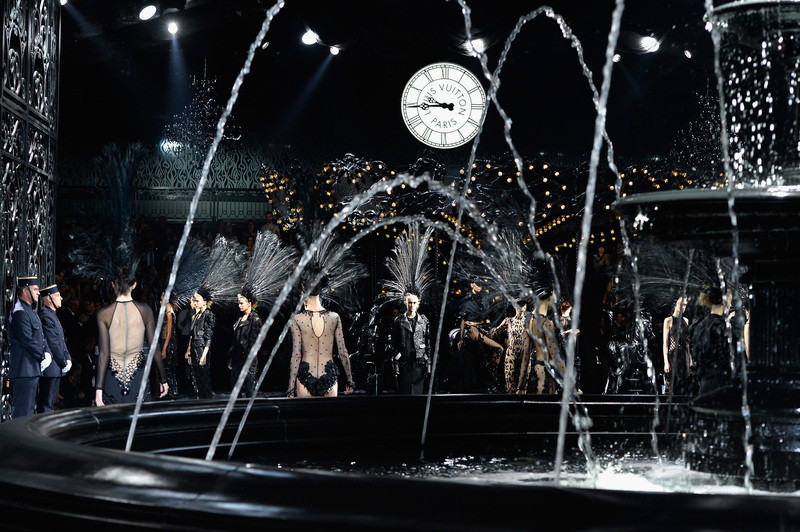 You can watch the entire runway show in all its fanfare — carousels! lights! fountains! — at the Vogue UK site. We've been pumping you up all week, prepping you for a Nicolas Ghesquière entrance at Louis Vuitton, so the next step is to watch whether or not the fashion psychics are right. We hope they are.